Dr. William Murzic is one of the founding members of New England Orthopedic Specialists. His practice is exclusively joint replacement. He has more than 25 years of experience in hip and knee replacement, as well as complex revision surgery. Dr Murzic is excellent. His staff is extremely helpful, knowledgeable and responsive. Jenny is great! He has repaired my wrist, shoulder and hopefully lastly, my right hip, all with perfect results. I so not hesitate to recommend him highly. Seemed quick to get to his next patient. Very easy to talk to, answered all our questions. all questions answer quicklly and correctly. Direct and to the point. Thank you. 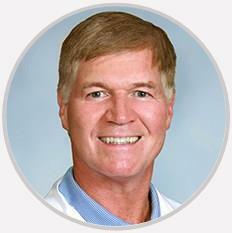 Dr. William Murzic is one of the founding members of New England Orthopedic Specialists. His practice is exclusively joint replacement. He has more than 25 years of experience in hip and knee replacement, as well as complex revision surgery. Dr. Murzic's interests include mini-invasive techniques, and he only utilizes technologies that have been shown to improve outcomes. He completed a joint reconstruction fellowship at Sutter General Hospital/UC Davis Research Labs in Sacramento, California. He has a BA in economics at Columbia College, and received his MD at Tufts University School of Medicine. He completed a six-year residency in orthopedic surgery at Duke University Medical Center. He is on the active staff at North Shore Medical Center, Beverly Hospital, and Mass General/North Shore.